CBS has now released the full video of Stewart’s announcement, along with Star Trek: Discovery executive producer Alex Kurtzman welcoming him to the stage. 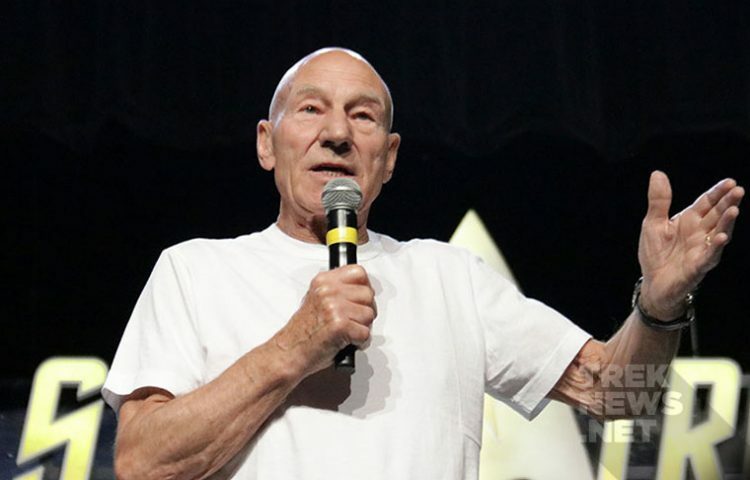 As we learned last weekend, Stewart will return to the role of Jean-Luc Picard, 20 years after the events of Star Trek: Nemesis. From what he said while on stage, the story is still being worked out but he may no longer be a Captain, as we last saw him on the big screen in 2002. Stay tuned to TrekNews.net for on the new Jean-Luc Picard series, the latest on Star Trek: Discovery, and more! Connect with us on social media: @TrekNewsNet on Twitter, @TrekNews on Facebook, and @TrekNews on Instagram.